WASHINGTON — The Chinese government killed eight people in what they called a “terrorist attack” in the troubled western region of Xinjiang on Monday. Since November, at least 35 people have been killed in Xinjiang. 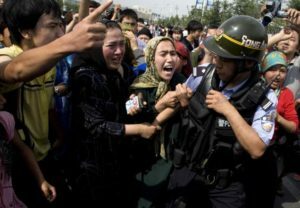 Reuters reported that the Chinese government blames separatist Muslim extremists as the instigators of violence and this recent attack took place in the old Silk Road city of Kashgar. Xinjiang is the home region to a Turkic language-speaking people who are Muslims, called Uighurs. They do not like the repressive Chinese government in addition to the ethnic tensions between Han China and Muslim Uighurs.